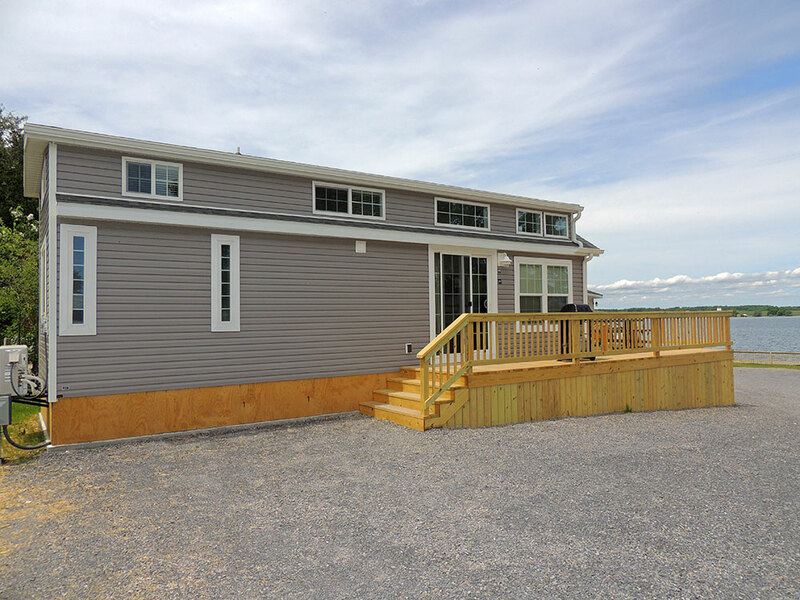 This is one of two park model mobile homes that we have to offer. 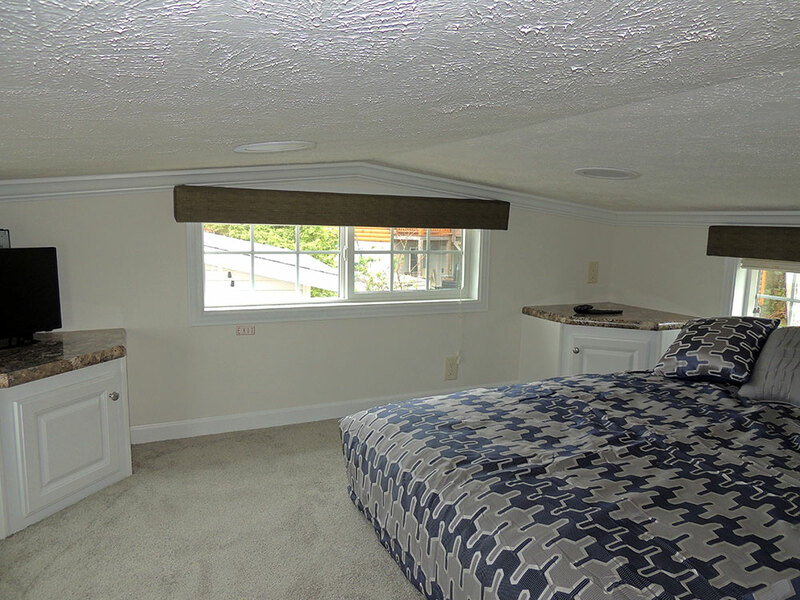 #29 is a one bedroom “tiny home” with a bonus sleeping loft, (maximum loft height is 44 inches), plus a sleeper sofa. The cabinetry is tastefully done in white and the cathedral ceilings include plenty of windows and allow lots of natural light. 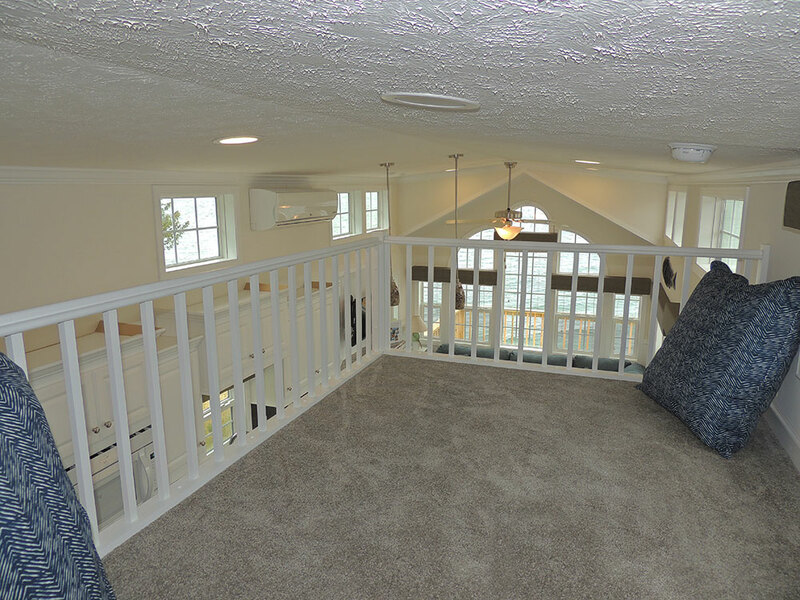 There are excellent water views from both in-side and from the large deck, reached by a sliding patio door. 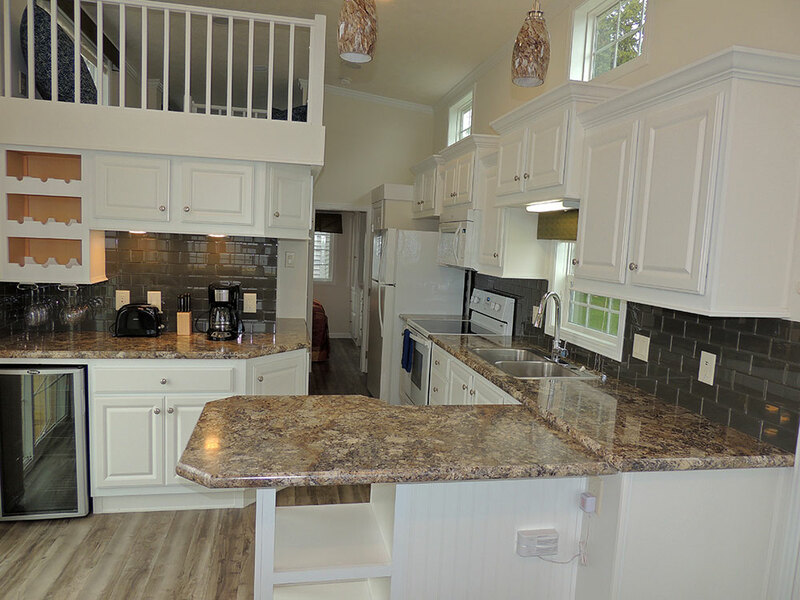 The comfortable kitchen offers tons of cabinet space and comes fully stocked with silverware, dishes, pots and pans, toaster, coffee maker, refrigerator, stove with oven, and even a wine fridge! The counter dining area offers seating for 4. 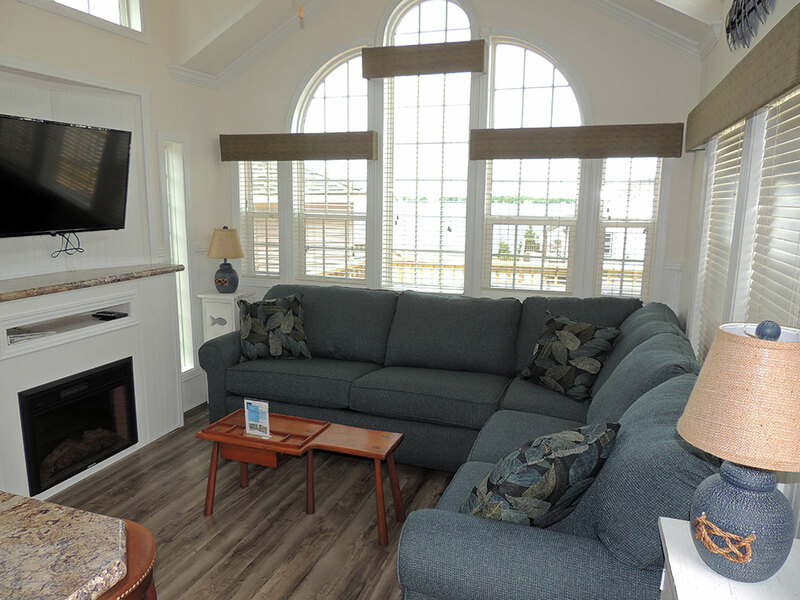 The living room has a wall of beautiful windows, laminate wood flooring and a comfortable sofa which contains a pull out sofa bed – plus a fireplace and flat screen TV. 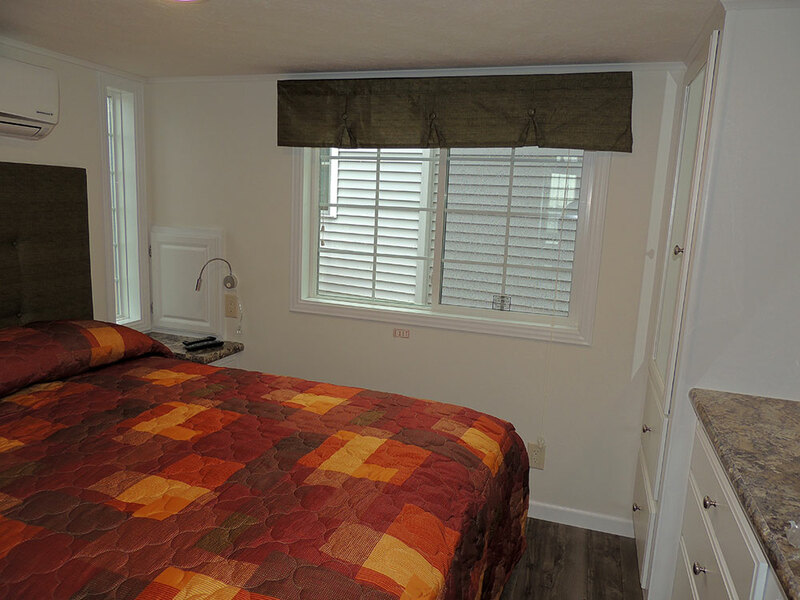 The bedroom offers a queen size bed as well as built in cabinets for storing your belongings during your stay, and the bathroom has a corner shower plus linen cabinet. 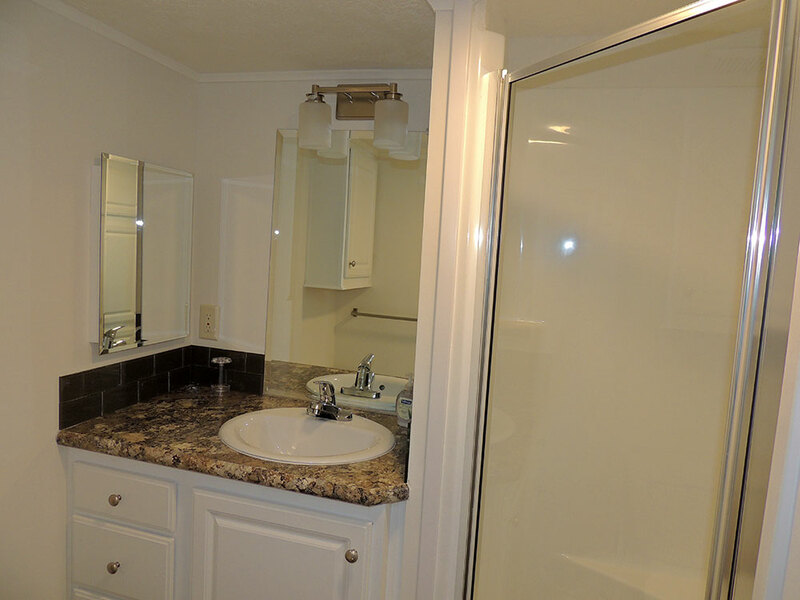 Of course, complimentary wireless internet access, cable TV service, air conditioning and heat are all included. 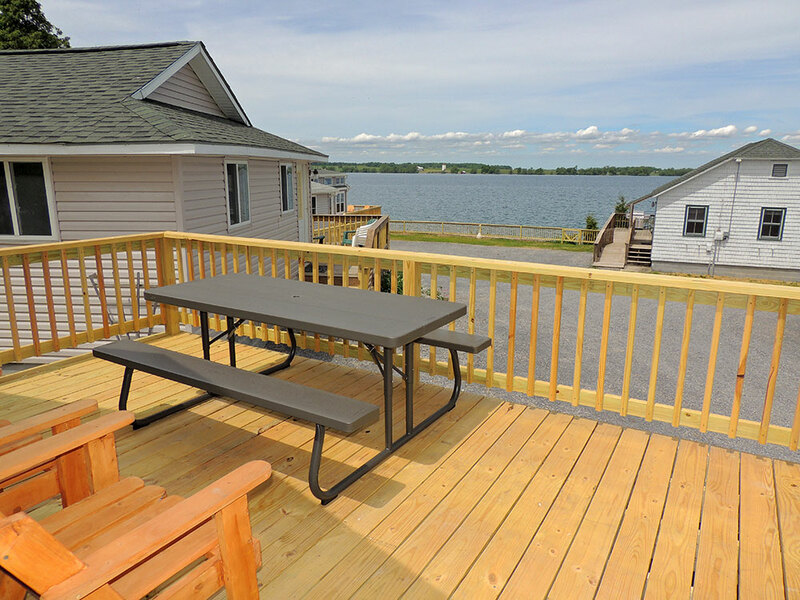 This gorgeous rental is best suited & rated for 2 people, with a maximum of 4.